Attorney, civil rights and human rights activist, Fred D. Gray, was born on December 14, 1930 in Montgomery, Alabama to Nancy and Abraham Gray. The youngest of five children, he and his siblings were raised in a shotgun house in a segregated black section of the city. In 1947, Gray attended the Nashville Christian Institute. After completing seminary, he enrolled at Alabama State College, where he paid for his education by working as a district manager of the Alabama Journal. In 1951, Gray entered law school at Case Western Reserve University in Cleveland, Ohio. He earned his degree in 1954 and opened a law office in his hometown of Montgomery. When Rosa Parks was arrested in 1955 for refusing to surrender her bus seat to a white passenger, Gray became her attorney. During the Montgomery Bus Boycott, Gray also represented Dr. Martin Luther King, Jr. and other participants of the year-long protests. In 1956, his role as an attorney in the boycott’s civil suit, Browder v. Gayle verdict integrated the buses in Montgomery. In 1970, Gray became only one of two African Americans elected to the Alabama state legislature since Reconstruction. In 1972, Gray brought a class-action lawsuit against the federal government on behalf of those involved in the Tuskegee Syphilis Study, a government sponsored program that left black men untreated for syphilis. In 1997, the government settled the lawsuit, but failed to admit any wrongdoing. However, his legal actions influenced President William Jefferson Clinton to issue formal apology to the study’s participants in 1997. The same year, Gray helped to establish the Tuskegee Human and Civil Rights Multicultural Center. Gray has earned numerous honors and rewards for his civic service, including the American Bar Association’s Spirit of Excellence Award and the Nation Bar Association’s C. Frances Stradford Award. In 2000, Gray was inducted into the International Society of Barristers and in 2002, he became President of the Alabama Bar Association. Fred Gray continues to practice law. 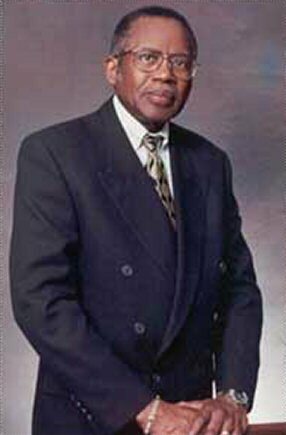 He is senior partner at the law firm of Gray, Langford, Sapp, McGowan, Gray & Nathanson, which has offices in Tuskegee and Montgomery, Alabama. Fred Gray, Bus Ride to Justice: Changing the System by the System (Montgomery, Alabama: Black Belt Press, 1995). Raymond Arsenault, Freedom Riders 1961 and the Struggle for Racial Justice (Oxford, New York: Oxford University Press, 2006); http://www.fredgray.net/background.html.